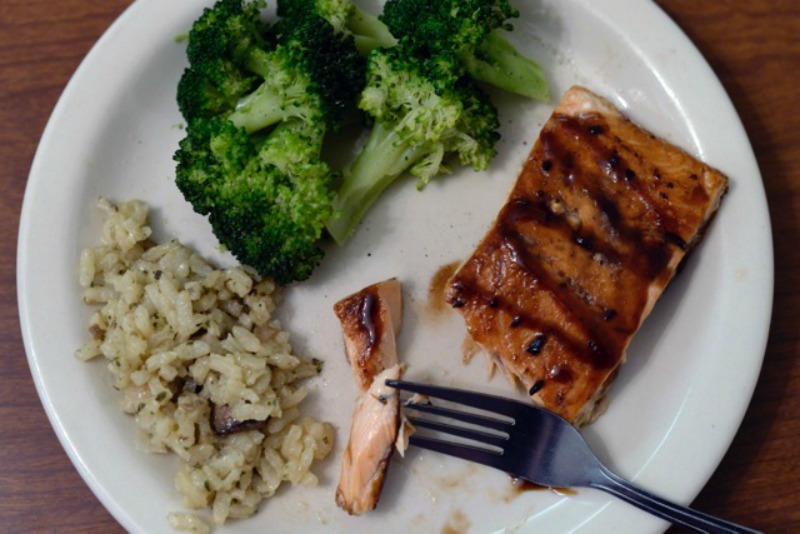 The world’s easiest salmon recipe. It is easy enough to order salmon at a restaurant but when it comes to cooking it for ourselves, the task seems daunting. I promise, making salmon is much easier than you think. In fact, I would even argue that making salmon is easier than making a box of mac and cheese. 2. 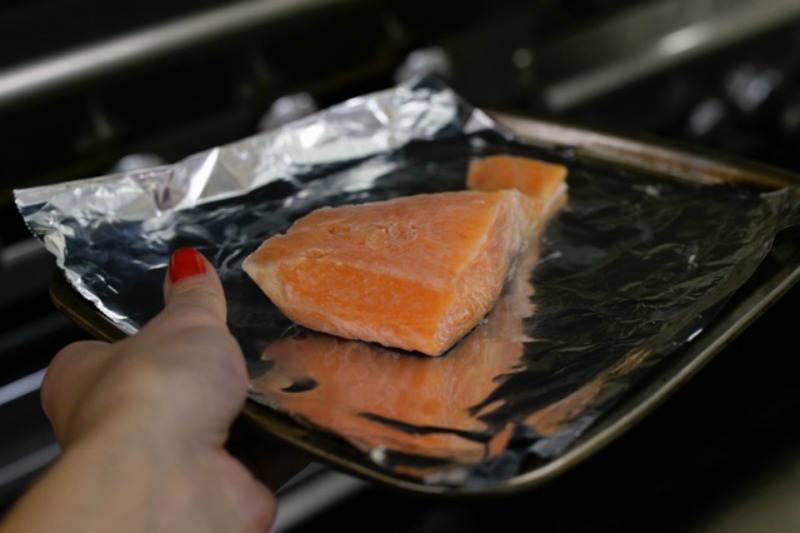 Rinse your salmon, let excess water drip off and lay salmon fillet(s) in the baking dish. 3. Sprinkle brown sugar on top of the salmon. The salmon will absorb some, sprinkle a little more so you can still see a VERY THIN layer of brown sugar covering the salmon. 4. Sprinkle black pepper on top. Put less black pepper than brown sugar. You barely be able to see the pepper flakes (I lightly sprinkle the black pepper from a pepper shaker all over the whole piece of salmon). 5. Put tray in the oven and bake for approx. 20 minutes, depending on how thick your piece of salmon is. 6. 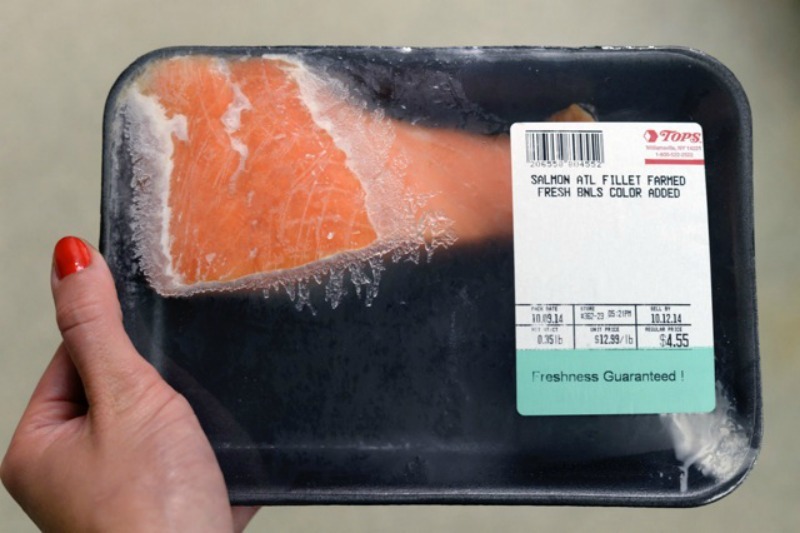 At the 20 minute mark, take the salmon out of the oven and cut a piece in half to see if it is cooked thoroughly. I like mine cooked medium (so the center is a little rare). If you like yours well done, cook for an additional 5 minutes until the center of your salmon is pink. 7. Enjoy with a side of rice pilaf and vegetables.